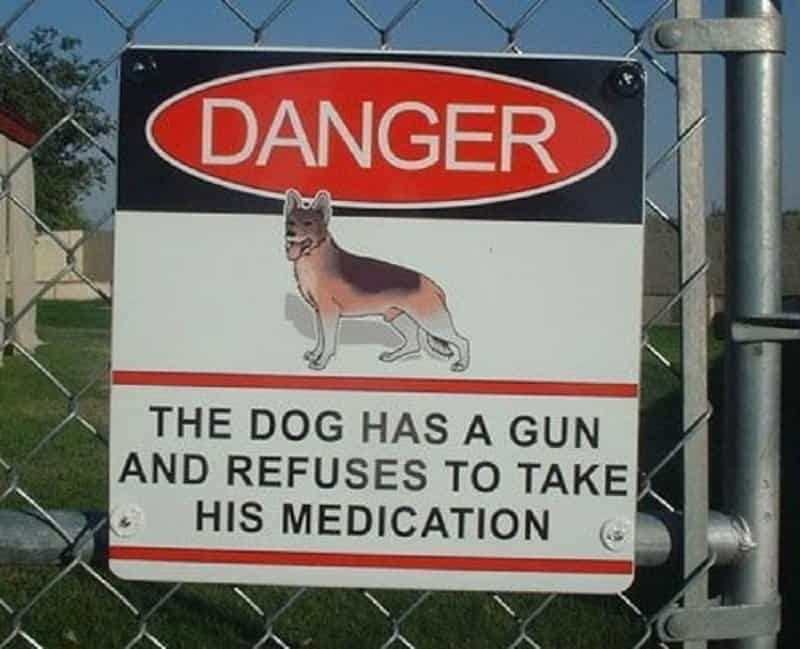 I would love to meet this dog. He seems like quite a maverick! 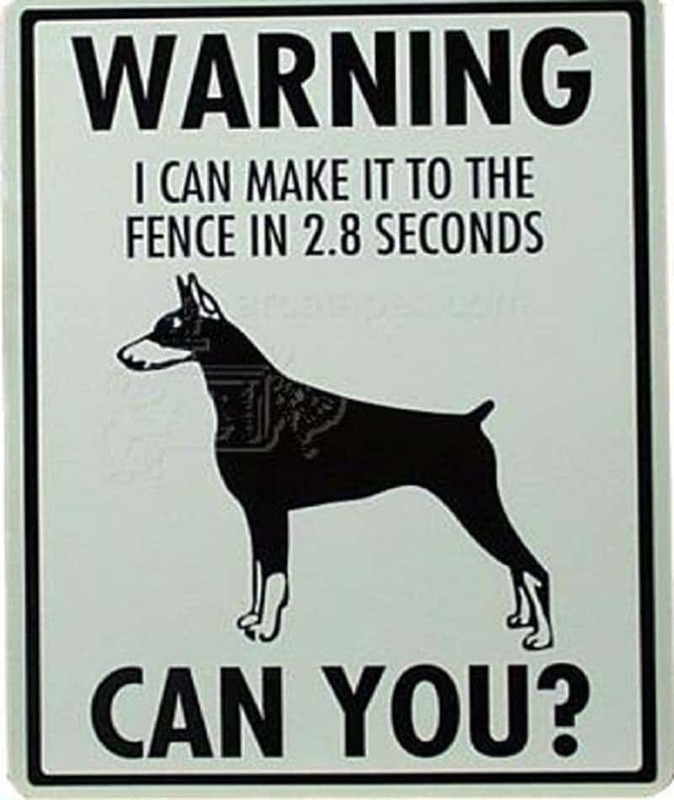 This seems like the no trespassing sign of the most dangerous place on our planet. 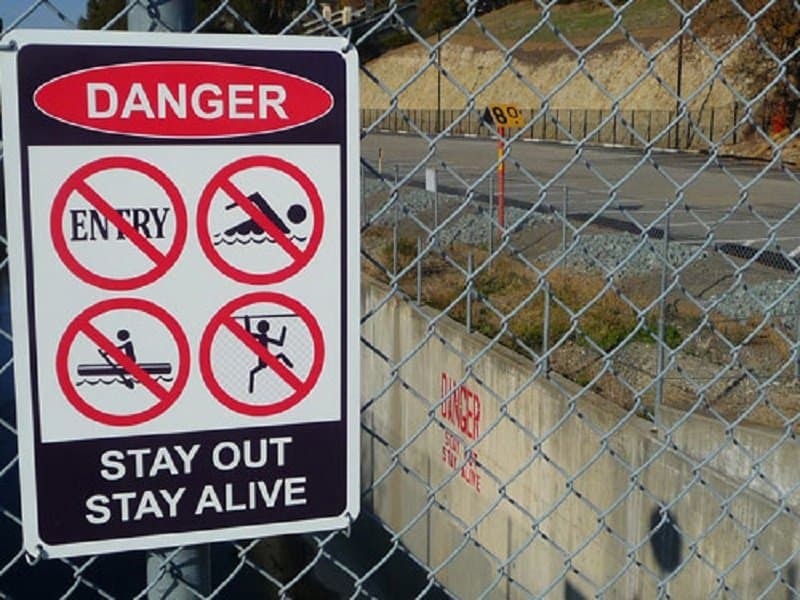 Just look a the number of ways this place can get you! 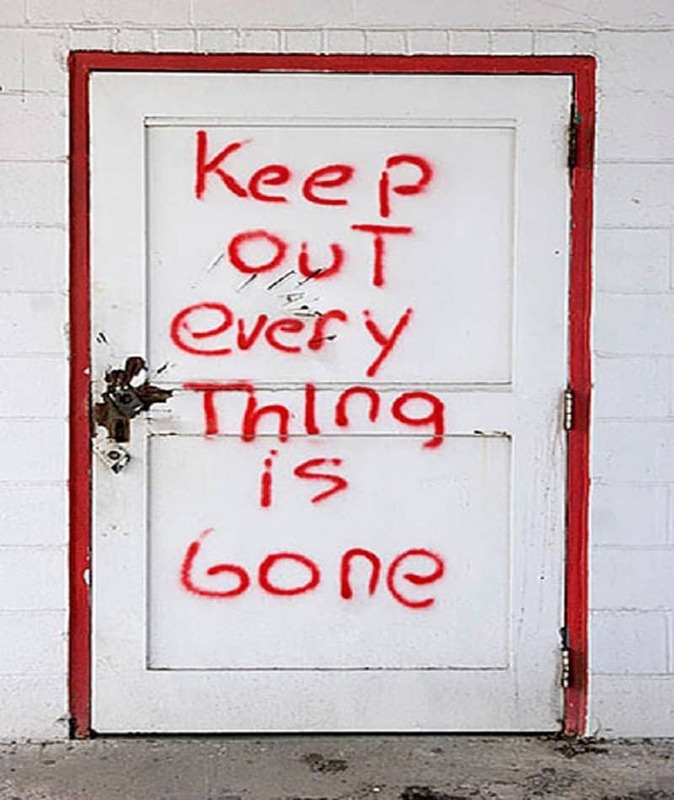 This feels like a sign you may see on ‘The Walking Dead’. 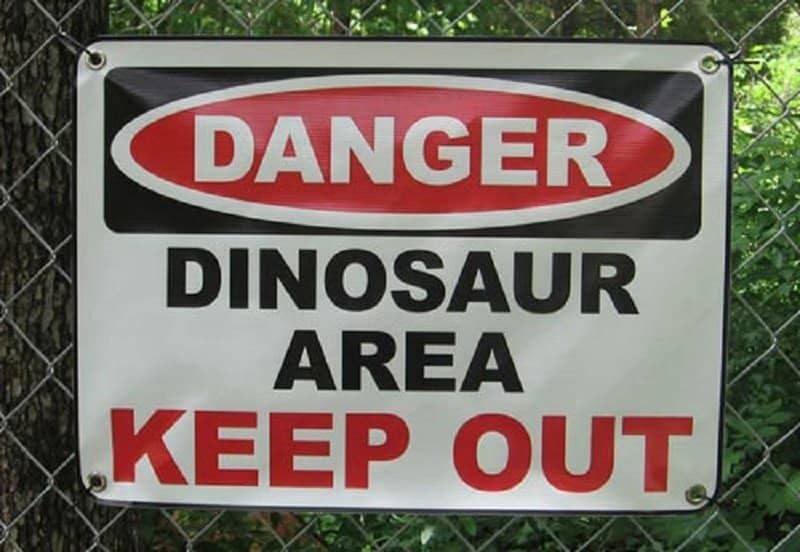 Claiming that an area is a ‘Dinosaur area’ is a great way to invite more trespassers. 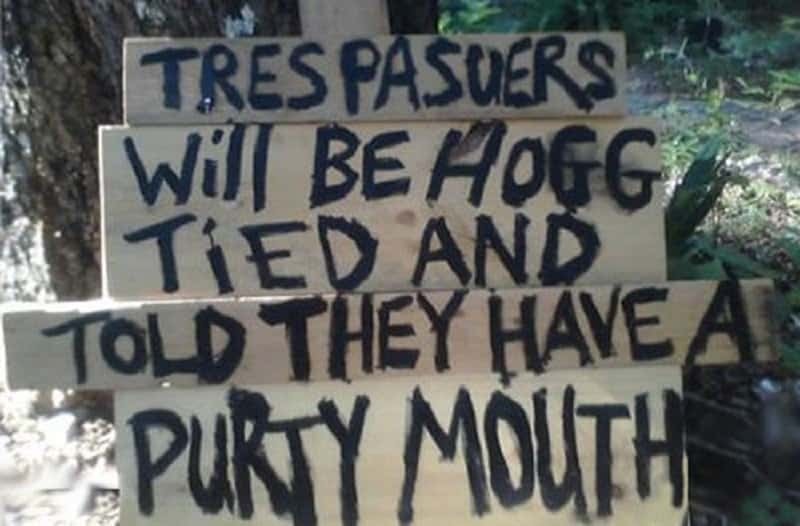 They would have better luck using a sign that says ‘Accountant area’. 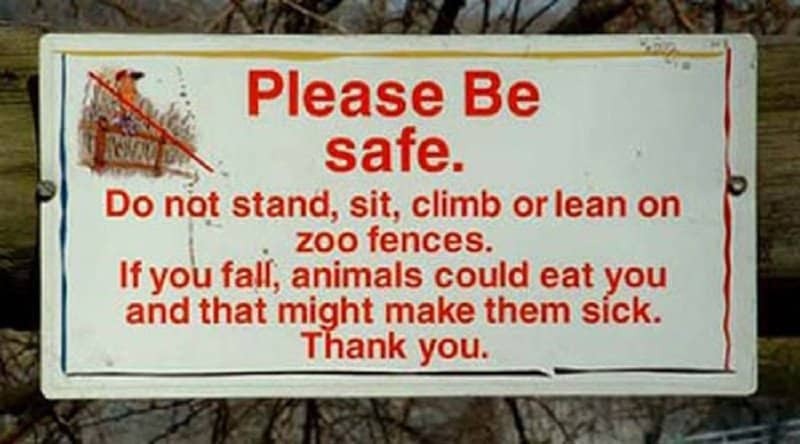 This sign is simply stating facts and we appreciate its honesty. 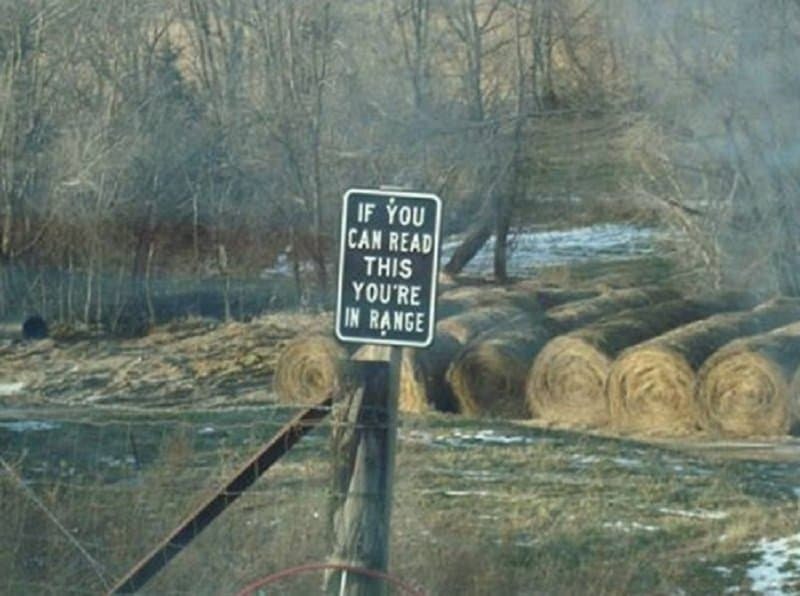 You do not want to mess with the backward people who came up with this sign. 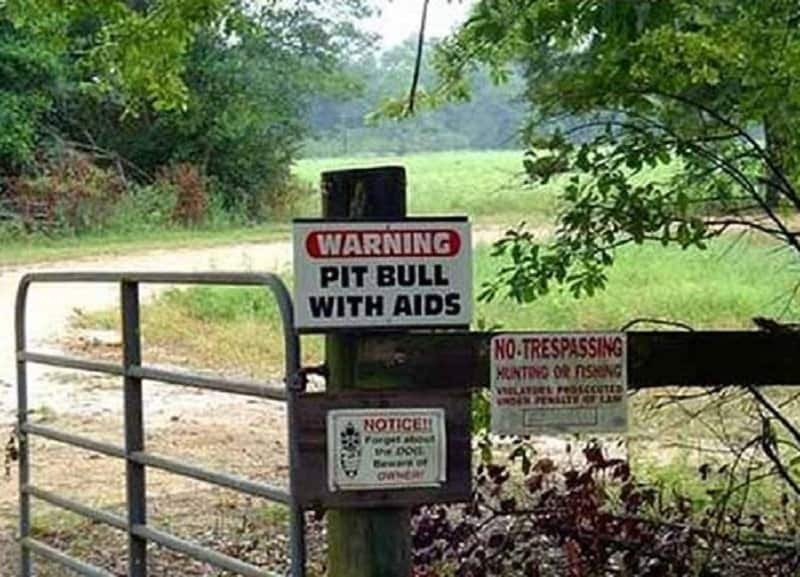 Wonder if they injected the poor pit bull with aids just to keep their property safe, because that is just plain wrong! 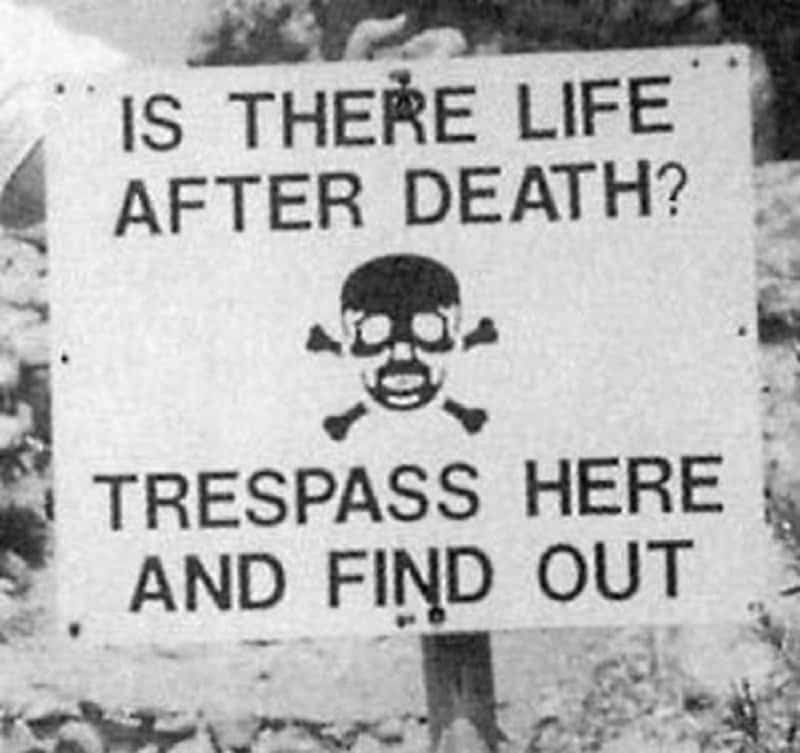 A sign that offers to help you find answers to the eternal question regarding the after life.